Today there a lot of do-it-yourself tasks that help us save money and time. So why not scan your car on your own? Am a long distant traveler because I have several branches of my small business across the country in a few cities. Sometimes assigning someone to look underneath my dash to clear out a light makes me impatient besides why throw money on something like that? These are some of the reasons why the Actron CP9125 scan code reader is available. It is highly compact to fit in the palm of your hands and pocket. It also easily links with your vehicle to scan for issues. Just like all other Actron scanners, it is as well compatible with vehicles assembled from the year 1996 to now. You will enjoy diagnosing your car on your own and turning it off to check the engine light before any journey for your safety. The Actron CP9125 scan code reader is significantly portable. It is small to fit in your pockets or purse. Besides its very light in weight, you will not even notice it while carrying it around. Unlike other scanners that are bulky and cumbersome, the Actron CP9125 has proven to be most efficient. The Actron CP9125 scan code reader is an updateable tool that will impressively offer you the platform to use it on future compatible vehicles. As much as the device is designed to link with the vehicles assembled from 1996 up to date, you will use for a long time even on modern vehicles. The pocket size device is attached with an OBD II 16-pin connector cable to provide you with both data and power connections. The Actron CP9125 scan code reader is designed to be used by anyone. It does not necessarily need a mechanic, even with a little knowledge about cars you will be able to detect and fix problems on your own. The pocket scan will let you read OBD II diagnostic trouble codes older cars to newer ones. The light trucks included. The highly diagnostic feature gives you the ability to determine issues, repair them, clear the trouble codes and turn off the light. It is clear that the Actron CP9125 scan code reader will let you trouble to scan your vehicle. Once that is done, it will display the issue, suggest solutions or take you to an online service that will help you with additional diagnostic and repair information. Actron products are all designed to display emissions status allowing you to save time and money even when you go to renew your vehicle’s registration. I value the Actron CP9125 scan code reader because of how it automatically analyses my vehicle to combat any necessity I may have. The compatible with many cars device is one of a kind pocket scanner that takes away all your worries that cloud your mind each time you want to be set off for work, take children to school or go shopping. Q: Hi, is the Actron CP9125 Pocket scan code reader able to clear errors on a Subaru Impreza 2006? Q: From it’s description am meant to believe it can work on 98′ BMW m3? Q: It can show P1320 and P1610 codes, right? 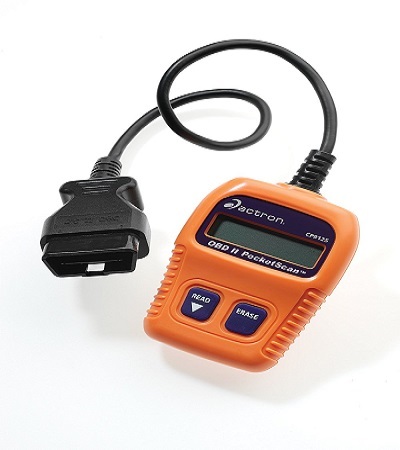 A: The Actron CP9125 Pocket Scan code reader shows P1 codes sent for an OBD II generic request. Many people hate that feeling when you go to the mechanic to fix a little problem which seems huge to you, and they just get it done in a split of seconds. You feel like they have played you. I do not feel that anymore if I have to take my car to the mechanic, I must be certain that the issue is much bigger. You should get yourself the user-friendly Actron CP9125 scan code reader and spare your face from insecure expressions.